Do you know that India has approximately 10 million street vendors? As per some studies, it is also estimated that street vendors constitute around 2% of the population of a metropolis. In Mumbai, there are approximately 2,50,000 street vendors, Kolkata has 2,00,000+ vendors, whereas Delhi has approximately 5,00,000 vendors. With the constant increase in numbers of hawkers across the cities, there are various challenges that city government is facing like identifying authorize and unauthorized hawker, is hawker on the authorized place, generating paper-based hawker inspection report, checking earlier violation report on hawker, etc. 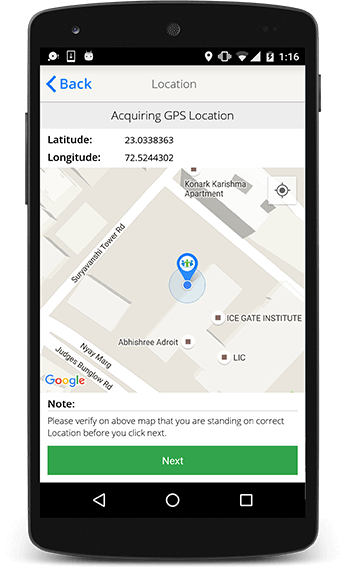 In a bid to control the menace of illegal street vendors across the city, the city government can adapt our Hawker Inspection solution, a mobile-based application, which comes with RFID chip based SmartCard to differentiate between authorized and unauthorized hawkers. 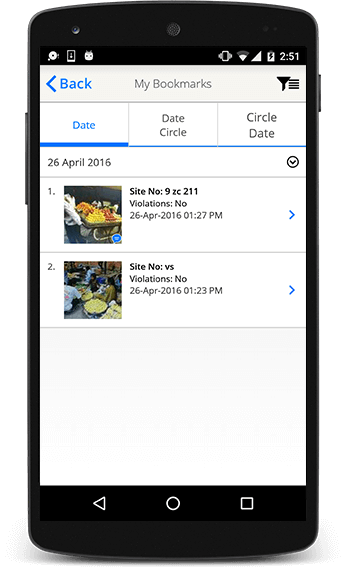 How our tailor-made Hawker Inspection Application will help the City Government? It enables city government to manage all the registered Hawkers of the city. The government will able to know how many legal and illegal hawkers are there in the city. Along with the application, we provide an RFID-based smartcard that allows officers to search hawker by scanning the SmartCard. All the registered Hawkers of the city will get SmartCard, consisting barcode and RFID chip to search hawker of the city. Officers will get help in inspecting and generating reports on each and every street vendor by scanning their smartcard’s barcode that provided by us. 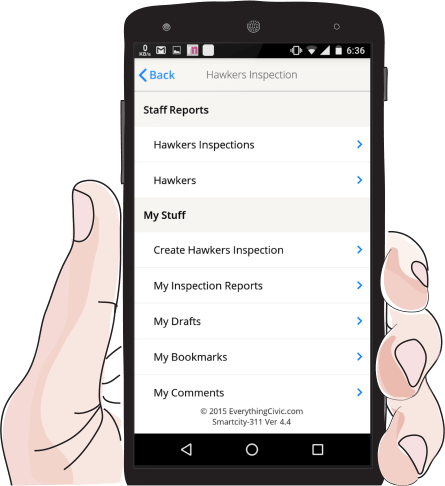 With ready to use Hawker Inspection application, government officers can manage all the reports digitally that will eliminate the hassle of making paper-based reports. Seamless Integration with city government’s needs; therefore, officers don’t have to invest their huge amount of time generating reports manually. It will also help government officers to know a previous violation of hawkers. City government can easily check previous records and reports of all the hawkers. 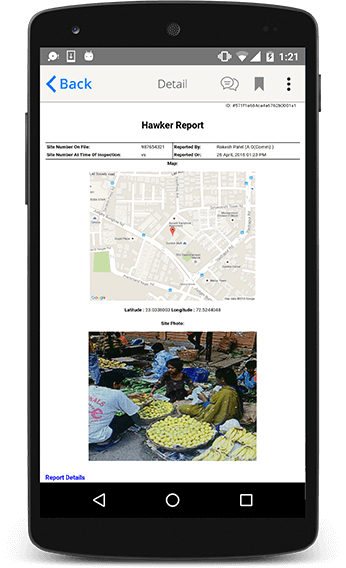 Our ready to use Hawker Inspection app aims to reduce the hassle of keeping records of all the street vendors in paper-based reports. 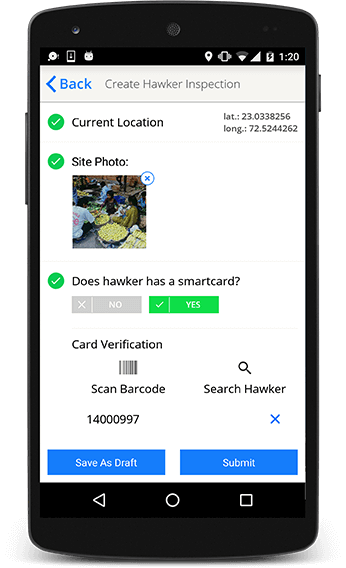 The app comes with Smartcard that consists RFID (Radio-frequency identification) chip and barcode that we provide to hawkers so that when an inspector goes on inspection to inspect, he only needs to scan RFID chip or barcode of the card to verify the hawker. 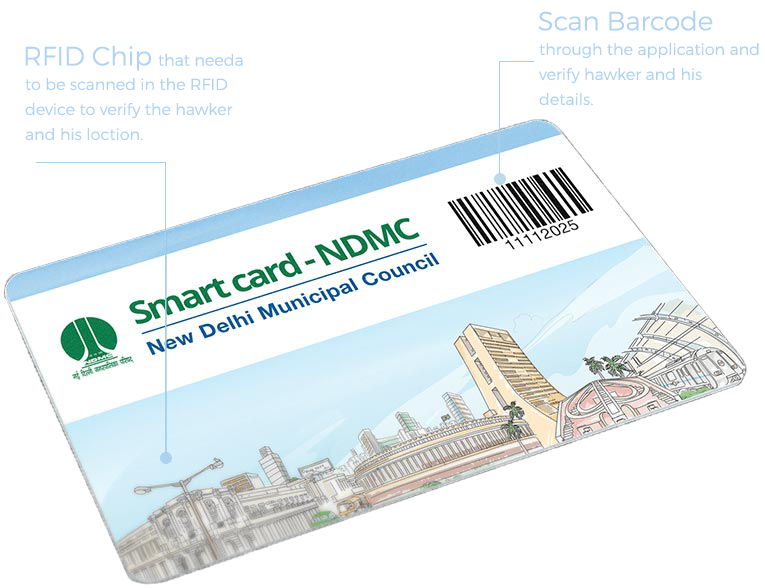 Provided SmartCard comes with RFID chip and barcode that gives accurate information about the hawker. Inspector just has to ask for the card to hawker and scan its barcode through the app or he can also scan the card through Radio-frequency identification device. By scanning barcode and RFID chip, the inspector can verify the hawker and his complete details. The SmartCard will help to verify the location of hawkers and check their violation reports if any. 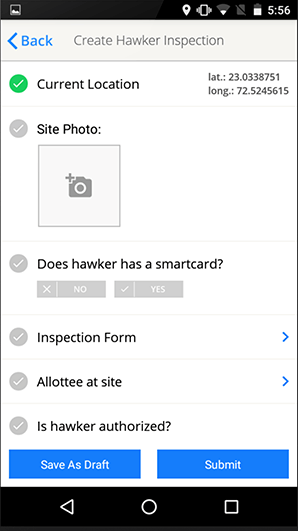 Government officers can make hawker inspection report digitally with detail information like current location, site photo, inspection form, etc. Whereas senior officers can check all the inspection reports that submitted by officers. The application allows senior officers to make immediate comments on the reports, regarding any of their question related to the report. Whenever any senior officer will make a comment on officer’s report, a notification alert will be sent to him so that he can easily tap on it and check the comment. Many a time, we wanted to discuss any particular report of a hawker in the meeting with seniors, so the application has made it easy to bookmark any inspection report for referring it later with they have a one-to-one meeting with their seniors. Officers can also save in draft their generated reports, in any case when there is no Internet Connectivity and submit those saved reports when they get the connection. Moreover, they can check all their drafted reports in My Drafts feature. 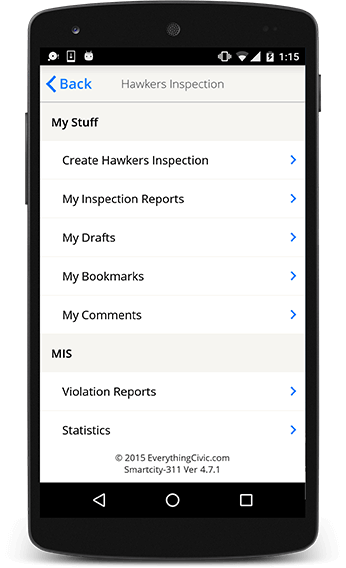 Getting a complete list of all the registered street vendors of the city is just a click away as the app allows checking all the registered hawkers of the city with their detail information. With a lot of submitted inspection reports, finding any specific report will be a time-consuming process. So, you can filter the data based on specified criteria. Why City Government Needs this Application? Is This Application Safe & Secure for Government Data? Yes, this application is completely safe and secure as we are taking vital security measures when it comes to our clients. All the cities have different numbers of hawkers, so the cost varies city-to-city. However, this ready to use application will cost a fraction of what it actually worth. We, at everythingcivic.com, believe in charging the actual amount of the product, and we don’t charge any extra cost. Does This Application Requires a Lot of Maintenance? No, this application does not require a lot of maintenance. Our team of professionals will guide to maintain this app without any hassle. Is It Possible to Customize This Application? 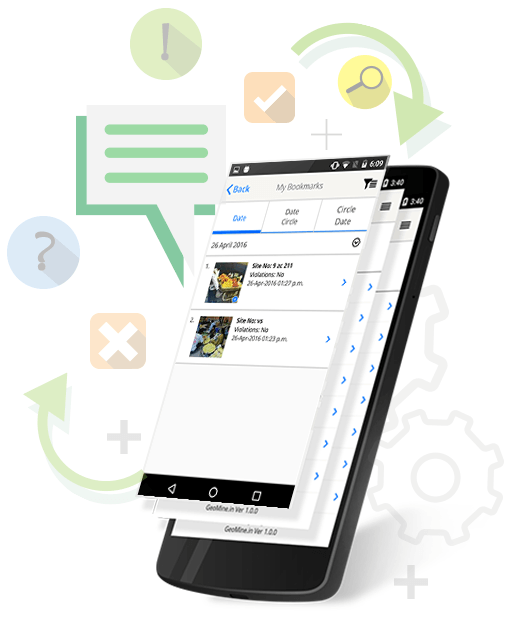 Yes, it is possible to customize this application and include as many features as you want. To discuss your needs, contact our team. Do You Provide Any Support Service After Delivering This App? Yes, we do provide support service and solve your any query related to our product. You can get in touch with us through Call, Email or Skype. We will get back to you within 24 business hours.